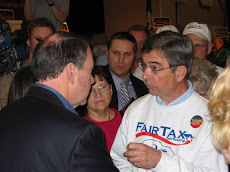 House Speaker John Boehner finally got the Budget Control Act of 2011 through the House on Friday night – the legislative vote shows how little the Freshmen Tea Party House Republicans elected in 2010 stuck to their guns once they arrived in Washington. Only a small handful of Freshmen Republicans voted against the Bill (22 Republicans in all) which immediately raises the debt ceiling by $900 billion & calls for $756 billion in unspecified spending cuts over ten years with $72 billion of these unspecified cuts coming in the next two years with the rest obviously having no chance of being realized. 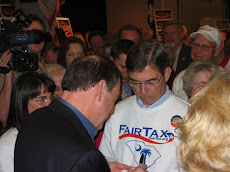 The 87 Tea Party House Freshman Republicans had campaigned in 2010 on cutting $100 billion from the FY 2011 spending plan. They have had two bites @ the apple with the CR & now the debt ceiling vote – all but a few have gone the Washington establishment way both times. Most disappointing among the Freshmen are Rob Woodall (GA), James Lankford (OK), Kristi Noem (SD), & Jon Runyan (NJ) all of whom have consistently voted with the establishment old guard Republicans their first seven months in office. Tim Scott (SC) has been true to his word after one initial slip. Check out your own Congressman below. The Boehner Bill is just another plan that adds to the national debt over the next ten years – there are no real spending cuts of any significance in any of the years. Some call the meager unspecified cuts a starting point or a turning point in Washington but the Dems are way too cagey to fall for this. In fact the Boehner Bill has very little chance to pass the Senate &/or survive BO's veto so it really means that supporters of the Bill are looking for backing from the Republican Party in the future as business continues in Washington as usual – @ our detriment & expense. The Senate is planning to stall & pass something themselves @ the last minute sending the hot potato back to Boehner who will be left standing in the game of musical chairs when the music stops on & after the August 2 debt ceiling drop dead date thereby taking all of the blame from the disinterested public for whatever ails the country then. Below are the results of the Boehner Bill vote. People like Michele Bachmann, Steve King, Freshman Tim Huelskamp, & Freshman Trey Gowdy all voted against the Boehner Bill because of the principles they consistently espouse. Gowdy said "I did not come here to curry favor. I did not come here for committee assignments & threatening me with not coming back will hold no weight." I don't believe the "ayes" on the list below can say the same. U.S. should not be so arrogant and expect that our foreign creditors will buy 2.4 trillion more treasuries,an increase of 18% when our GDP grows 2% a year. Increase the ceiling with stealth cuts will render treasuries as toxic. U.S. dollar will then collapse within weeks.